How big is UC Berkeley’s biggest class? The logistics of grading hundreds of exams is an oft-mourned inconvenience for GSIs and professors alike. 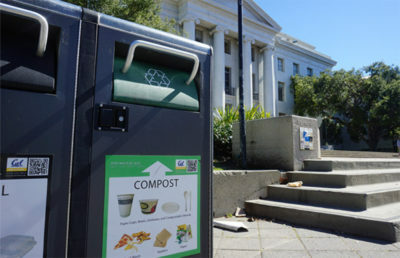 For one UC Berkeley electrical enginnering and computer sciences assistant professor, the solution was to develop his own program to address these issues. Pandagrader, a project spearheaded by professor Pieter Abbeel, is a system in which exams are uploaded via scanning to a login-based online system, enabling viewing and grading of exams on a personal computer. Abbeel — along with EECS students Arjun Singh and Ibrahim Awwal — developed Pandagrader and first used it for CS 188’s spring 2012 final. 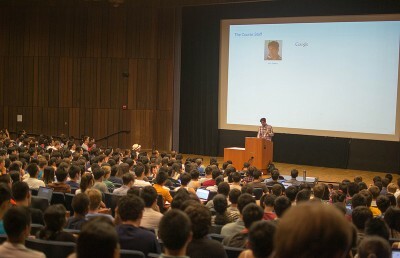 After spreading through the EECS department via word of mouth, Pandagrader has been utilized by other campus departments, including statistics and economics. While it takes about an hour to scan 200 exams, Abbeel said, overall grading time is reduced. EECS graduate student Jiamin Bai, who used Pandagrader as a GSI in a spring 2013 computer graphics course, echoed this sentiment, saying it was much easier to grade when GSIs did not have to be physically present to collaborate. Pandagrader is especially useful for Friday exams, in particular finals on the Friday before winter break, when GSIs want to get home to be with friends and family over the holidays rather than remain in Berkeley until grading is completed. In CS 188, for instance, a GSI was able to fly home, get Wi-Fi on the plane and grade in flight, Singh said. Pandagrader also decreases grading ambiguity by logging how graders score each question, allowing them to standardize themselves, Singh said. Students also benefit from an increase in grading transparency. As soon as a GSI is done grading, he or she can hit a “publish grade” button, and students are able to see their exams along with a rubric for each graded section listing why points were taken off. Students may even see why others lost points on a particular question. Furthermore, Pandagrader has proven effective in addressing student cheating. For instance, a student once asked for a regrade, and it looked like the exam had been written on after the hard copy was given back, Abbeel said, although there was no concrete evidence that the student altered the test. Now, the original copy of each exam is scanned and stored online through Pandagrader, he said. Addressing cheating is one aspect, but the bigger picture is giving grades that are fair, he said. Christine Tyler covers higher education. Contact her at [email protected]. A previous version of this article “Program lets GSIs evaluate remotely” incorrectly said that exam hard copies are handed back to students after being scanned into Pandagrader. In fact, students using the system typically access their graded exams online.